St. Paul’s offers a fully accredited Pre-K4 (VPK) program, five days a week, that sets the stage for self-confidence and inspires educational and social success. Our program participates in the Florida State Voluntary Pre-K4 Program. Each class is taught by a state certified teacher and a full time assistant. We have four classes and offer both morning and afternoon sessions. Pre-K4 small group tours are available November 28th through November 30th. Parents will be given an opportunity to visit classrooms during the school day and experience Pre-K4 first hand. For the 2019-2020 Pre-K4 program year, children living in Florida must have been born between 9/2/2014 and 9/1/ 2015. This application adds you to our wait list for the 2019-2020 school year. Acceptance letters will be mailed in March. Social Development. The Program focuses on four types of language development: oral language, phonological awareness, letter knowledge and print knowledge. These are critical steps in your child’s journey to literacy and reading readiness. The Diocesan learning objectives are introduced and repeated throughout the curriculum. Themes are used during the year to enhance learning and keep children active and engaged. The State of Florida pays for 540 hours of instruction for four year olds, during the school year. Our Pre-K4 program provides several weeks of additional instruction during the school year. The fee for this is $300, payable in one installment, at time of registration. This fee applies to all Pre-K4 students, unless they inform us in advance that they will be withdrawing at the end of the 540 hours. The state-issued voucher pays for one year of 540 hours of instruction, regardless of family income. 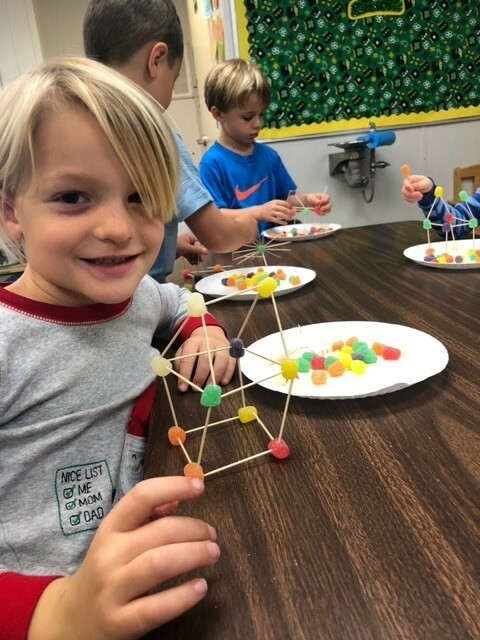 Enrichment activities in extended care are available to our students before and after Pre-K4 classes from 7am until 6pm. There is an hourly charge or a monthly fee, depending on your needs and usage.